In two colors guys! $6.95 on their website. 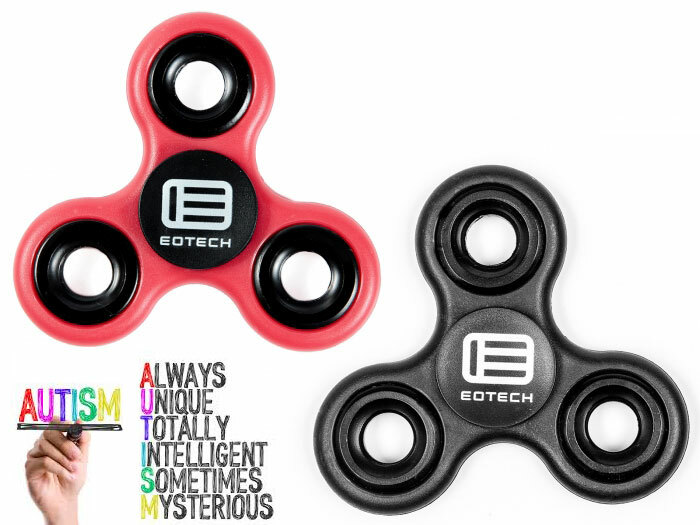 I still think my go-to autism suppression device is the ARFCOM AR-15 bolt face spinner. That would definitely get my clout up more than this rebranded generic one. Thoughts? Are you pissed off that companies are thinking these things are “trendy”, when in reality they are meant to help people? Wow, the fidget spinner situation on Amazon is intense. What a race to the bottom.